For some unexplained reason, letters to Santa Claus are being returned to the children of Junctionville. It seems some sour soul has angered St. Nick, calling Christmas “a fraudulent myth!” The skeptical rodent Albert Mouse has to be brought to his senses and persuaded to change his tune to pave the way for Santa’s jolly return to Junctionville. The joyous finale of this charming animated fable is inspired by Clement Moore’s poem. This movie normally airs throughout the holiday season on the AMC Channel. For a complete schedule of dates and times, please click here. T’was the night before Christmas… please air it more than just once!! My all time favourite!! “Twas the Night before Christmas” is my favorite as a child. Too bad it is only on once during the holidays. Agreed! Twas the Night before Christmas has been a Christmas show tradition my entire life as well. It would be nice if I had a better time slot than on Christmas morning at 8:30. PLEASE show ‘Twas the Night before Christmas (with the mice). This has been a favorite Christmas show tradition my entire life. 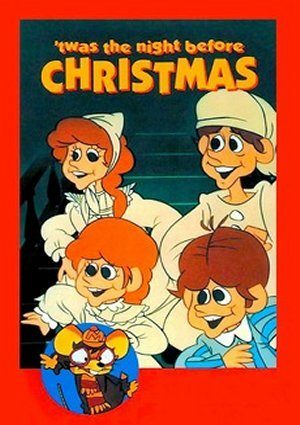 PLEASE consider showing this wonderful Christmas classic.